From author Jerry Eicher comes the inspiring novella, *Susanna's Christmas Wish. *Susanna Byler wants to spend the holidays with the man of her dreams. But is that the plain Amishman she married for convenience, or her Englisha first love who recently reappeared in her life? Sarah's Christmas Miracle by Mary Ellis will add joy to the Christmas season. 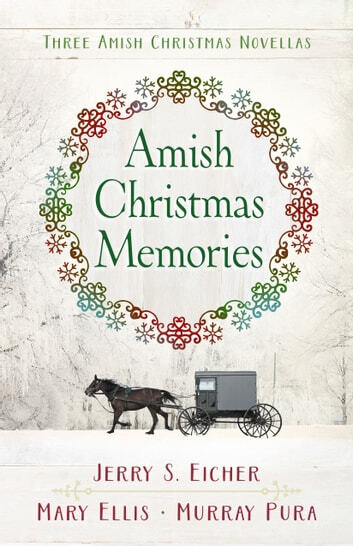 As Christmas approaches, Sarah Beachy searches for her brother who left the Order years ago. Sarah’s mother has been missing her son for so long…will she also lose her daughter to the English? Or will this family receive an unexpected miracle? 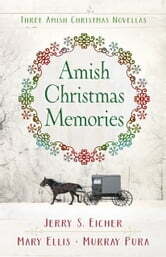 Author Murray Pura brings a tender story of reconciliation in *An Amish Family Christmas. *Naomi Miller's friend Rebecca tries to help her recover from tragedy. Then Rebecca’s brother--Naomi's husband--returns from the military and is shunned. An unexpected turn of events sets things right, bringing this Amish family and their community a truly joyous celebration.